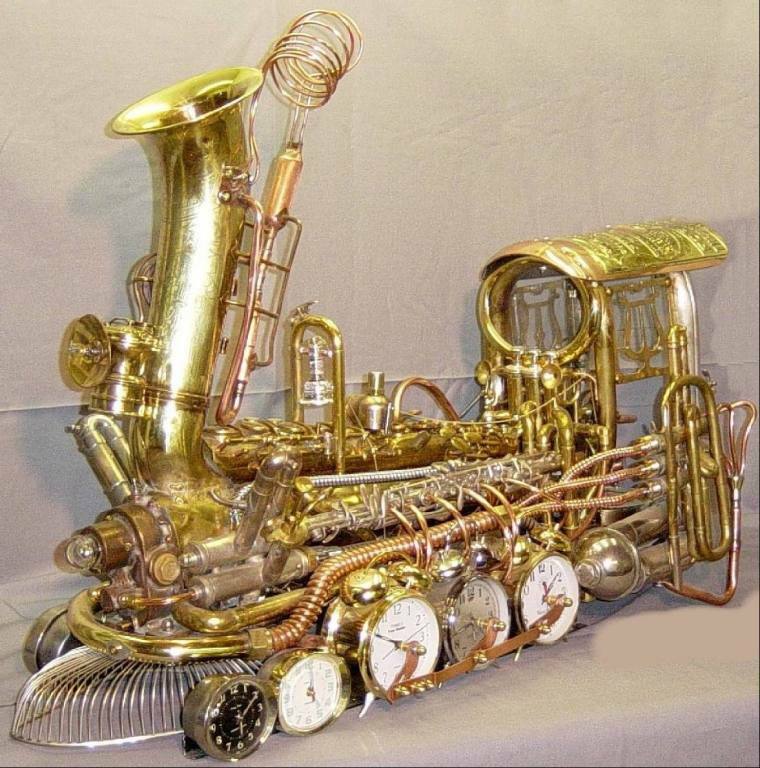 musical instruments and mechanical parts. Combining Musical and Mechanical components create Musanicals. Combining Space Fiction and Mechanicals become Cosmicanicals. Combining Flowers and Mechanicals create Floranicals. Musanical, Cosmicanical, and Floranical art parodies. The appearance of function become the function! More at our Flicker Gallery! *No working musical instrument was harmed in any Musanical construction! just crafted to look functional in their new sculptural role.